Mr. Harshavardhan V. Agadi has been the Chief Executive Officer and President of Crawford & Company since June 2016 and served as its Interim Chief Executive Officer and Interim President from August 2015 to June 2016. Mr. Agadi has been Chairman and Chief Executive Officer of GHS Holdings LLC. since 2000. Mr. Agadi has been an Executive Chairman of QIP Holder, LLC since February 2012. He serves as the Executive Chairman of Quiznos Canada Restaurant Corporation. He served as the President and Chief Operating Officer of Little Caesar Enterprises, Inc. from 1997 to 2000. He served as the Chief Executive Officer of Falcon Holdings Management, LLC. 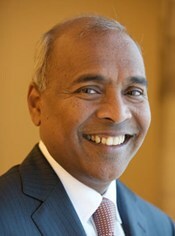 He served as the Chairman and Chief Executive Officer of Friendly’s Ice Cream, LLC from August 2010 to February 2012. He served as the Chief Executive Officer and President of Cajun Operating Company, Inc. (Formerly Church’s Chicken, Inc.) from December 2004 to December 2009 and since December 2004 respectively. Mr. Agadi is an expert on global growth for American companies and regularly speaks at universities, conventions and professional associations. He has over 30 years of experience across several companies, including American Express, PepsiCo Inc. and General Foods. He has managed a $2.0 billion restaurant chain with 4,500 locations across 22 countries. He was highly successful in introducing global brands to the international market through direct investment and master franchising. He was also responsible for opening over 2,000 stores for two competing brands in 10 years, in over 50 countries. 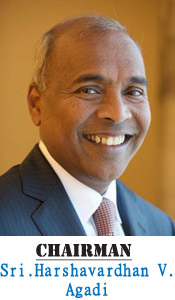 He has held executive positions with Kraft Foods Inc., PepsiCo Inc. and Domino’s Pizza Inc. He served as an Executive Chairman of QCE Finance LLC. He has been an Independent Director of Belmond Ltd. since June 9, 2011. He has been a Director of Friendly’s Ice Cream, LLC. since August 2010; Sbarro LLC since 2009 and Crawford & Company since August 3, 2010. He serves as Director of Quiznos, LLC, The Krystal Company and Orient Express Hotels, Ltd. He serves as Director of Diversified Foodservice Supply, Inc. He serves as a Director at Cajun Operating Company. He serves on the Board of Bijoux Terner, Inc., SKSVMA College of Engineering and Fuqua School of Business, Duke University. He is on the Board of Eaglebrook School in Massachusetts. 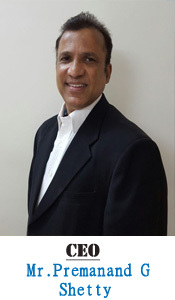 Mr. Agadi holds an MBA from Duke University, and a B.Com from the University of Bombay in 1984.